"Excelente opcion de Software para editar en linea. " Me encanta Pixlr porque es una plataforma ONLINES grandiosa para editar todo tipo de fotografias, es facil de usar, con una interfaz muy bonita y puedo utilizarlo desde cualquier parte en la que me encuentre con conexion a internet, la capacidad de transformar las imágenes es ilimitada, nos permite girar, escalar, distorsionar, deformar y colocar cualquier imagen que esté en una capa desbloqueada. Si la imagen además está separa da del fondo, podemos realizar cualquier composición que se nos ocurra. Tambien podemos utilizar herramientas como clonaciones, filtros y varias cosas mas que vamos descubriendo poco a poco, ademas es compatible con todos los sistemas operativos. En genral es una buena plataforma de edicion, onlines, con version gratis y que te ofrecera las herramientas necesarias para una buena edicion. Creo que lo unico que en serio ODIO de Pixlr son los constantes anuncios que aparecen en la parte inferior derecha de la pantalla, son tan molestos, quisiera que mejoraran eso porque es realmente innecesario y fastidioso tantos anuncios. Si te gusta manipular imágenes y estás empezando, es un buen punto de partida para saltar posteriormente a un programa o software más profesional, te ofrecera las mejores herramientas, que no son nada dificiles de usar y el resultado final en fotografias aunque no es el mejor si es bastante profesional. No es una herramienta para profesionales, aunque tengo que decir que a mí me ha sacado de muchos apuros en momentos puntuales, ya que se puede utilizar desde cualquier ordenador y sin ningún tipo de descarga o instalación, lo cual es genial para mi, porque constantemente me mantengo viajando o de un lugar a otro. "Nice But not Best Online Photo Editor"
I like that you get most of the feature for editing any images in the free version. It is completely web-based and very user-friendly anyone can understand it very easily. I like the very Cartoon type Icons of the toolbar and when you took the mouse pointer above the tool it gives the name of that tool which explains the use of the tool. Almost all feature that you get in other paid software here it is free. I Don't Like the Ads on the right side of the webpage it takes the most of the space of the page and gives the small space to do editing which is not sufficient for large size image editing and feel very uncomfortable. And When ads run it required more CPU Power. I don't recommend people to use this application as the main application of Photo Editing. Use it in Emergency Situations. I use this software in an emergency situation when the client wants some little modification in the project Presentation very fast. "Excellent Online Image editor Software "
Discussing the best point is Pixlr Editor is the Most Favorable Browsed based device which you don't have to introduce in your System, the most ground-breaking Photoshop elective device on which you have all the control on your hand including Templates, layers, and impacts. Pixlr Editor Provides all the required instruments like Brushes, Cloning, Filters, and so on very viable for me. Being Social Media Marketing Executive, I need to work with heaps of Social media Images crusade and advertisements, So It is convenient for me to utilize Pixlr Editor which is simple online editorial manager gives all the required instruments which I require. On account of Pixlr Editor we would prefer not to hang tight for Graphics originator we use to oversee it without anyone else. "Effective Software for photo editing"
Discussing the most effective purpose is Pixlr Editor is that the Most Favorable Browsed primarily based device that you do not have to be compelled to introduce in your System, the foremost ground-breaking Photoshop elective device on that you have got all the management on your hand together with Templates, layers, and impacts. Pixlr Editor Provides all the specified instruments like Brushes, Cloning, Filters, then on terribly viable on behalf of me. As a Graphic designer, you've got to do numerous tools to ascertain that absolutely fits you, Pixlr is my priority for writing work as I will add the filter in mere one click, quite an fun on behalf of me. moreover, you do not got to register to use Pixlr Editor. "A must tool for creative writers & graphic lovers"
Easy UI and editing options that make anyone easier to learn and use subsequently. Being a writer, at times it gets tough for me to search to get the perfect image each time. But, Pixlr makes it easier to arrange write and get it arranged on an image and post it. With an app of Pixlr editor, I am able to manage posting my thoughts and drafting them as image even while traveling. Unlike other editing software here I can add text as well and this don't make me work only on the desktop. So, I prefer this can be a helpful tool for the writers out there. In the app there is restriction that only that set of words could be added, I never counted but it's somewhere around 240 or 280 characters, this creates trouble. Sometimes, managing the size of content in the app this way turns problematic. Since Pixlr editor's app can work within your phone, it's easier to work while traveling. This eliminates the need of distinct writing app, photo editing and photo collage apps, for sure it saves mobile memory. With easy UI, even a newbie can use it, so it easy for me to use it. "Best online Editor tool - Pixlr Express"
The best part about Pixlr editor is you can use it anywhere around the globe, you just need and simple internet connection and a system with any operating system and Browser. Simple Graphical User interface and effectiveness makes Pixlr Editor best among all online Image editor available on the internet. not only the JPEG but you can edit RAW images in Pixlr which I like the most. I can surely recommend to every Photographer with No budget as this is free tool and best alternative of Adobe Photoshop to work with. Being a Photography blogger you have lots of work with Images weather is Raw or JPEG, thanks to Pixlr Editor whichever the place it may be I can easily my Graphics editing work and make client Happy. "Speed up Editing work with Pixlr Editor"
if you are handy with Photoshop and searching for free alternative you must switch to Pixlr Editor as this tool is free and a newbie can understand it just in no time. the best part is it has a very Effective and easy interface. vast editing option makes it mighty editor over the internet. also, Pixlr is compatible with every operating system and browsers. Pop up ads and banner ads are so much annoying else there is nothing That I dislike about Pixlr Editor. Yes, Must... just with bit technical graphics designing knowledge you are good to go with Pixlr editor which is the most favorable online editor to work with. as a Non-Graphic designer, we don't have that much graphic designing knowledge, Editing Images for Social Media campaign is very easy just grab URL image directly from our cloud storage and make changes in it. Pixlr is an incredible option in contrast to Photoshop. It enables you to utilize a few similar highlights without purchasing the expensive program. It likewise works inside your program so there's no compelling reason to download a program or application. One of the destructions of Pixlr is the powerlessness to spare organizations or settings. In Photoshop, I can make an activity to consequently resize a photograph. This choice isn't accessible in Pixlr. I likewise despise the extensive advertisements that were as of late put on the correct side of the interface. Sure, I will suggest to my other friends to use it. Its incredible in case I'm working from another PC that doesn't have my normal Adobe Suite introduced. I can simply pop onto Pixlr and I realize that I'll have the capacity to make nappy changes. "A perfect alternative for Photoshop"
Being an Accountant, I don't know much about deigning much. I have to create some good creatives for festivals every month and having a basic knowledge of Photoshop I am able to create and edit images with Pixlr Editor even if I don't have Photoshop installed in my PC. Sometimes the advertisements shown on screen while editing images become irritating. Otherwise there is nothing that I dislike about the functioning of Pixlr Editor. Pixlr Editor is a perfect alternative of Photoshop. We have designers to create professional images but when the designer is on leave and some urgent changes are required on the image, Pixlr Editor is really helpful to us. I just have to open the raw file of the image in Pixlr Editor and then I can make respective changes. I like the fact that I don't need to install any software on my computer , the software is online and excellent free alternative to expensive photo editors . The online program has the basic features needed to edit any photo and is very easy to use with little training . You are able to save your work online and edit later from any computer with internet access. "Most Effective tool to Improve Designing Excellence"
Talking about the best point is Pixlr Editor is the Most Favourable Browsed based tool which you don't need to install in your System, the most powerful Photoshop alternative tool on which you have all the control on your hand including Templates, layers, and effects. Pixlr Editor Provides all the required tools like Brushes, Cloning, Filters, etc. quite effective for me. Recommend to Everyone to Improve their knowledge in Graphical Designing, In addition, You can save your work in PSD File as well. Being Social Media Marketing Executive, I have to work with lots of Social media Images campaign and ads, So It is handy for me to use Pixlr Editor which is easy online editor provides all the required tools which I need. Thanks to Pixlr Editor we don't want to wait for Graphics designer we use to manage it by ourselves. Pixlr has always helped me in completing my image editing tasks when I don't have Adobe Photoshop installed in remote PC. The thing that I like the most about Adobe Pixlr is that we can use all the keyboard shortcuts that we use in other desktop software. Using Pixlr Editor requires prior technical knowledge. Also, the outlook is a bit clumsy as it shows advertisements. Every graphic designer and someone with bit editing technical knowledge must use this editor. "No substitute for professional desktop photo editors"
Pixlr provides a free, cloud-based photo editor than allows you to quickly create and share simple graphics and to edit photos. Sorry, but, "it's free", is the best I can do. Oh, there's also a Chrome app, which seems superfluous. To be honest, I have a hard time understanding for whom this product would be a good fit. It's free, sure, but pirating the big apps like Photoshop seems so rampant while at the same time on the other end amazing and inexpensive tools like Affinity Photo (and Designer), both of which I paid for, use, and highly recommend, are easily available for the big platforms, I can't think of a single reason to use this other than to tinker with what seems mostly like an experiment for no-longer-cutting-edge web/interactive technologies. No one who cares about typography, which is to say any serious designer, would be even remotely interested in using Pixlr. I have yet to be able to get Pixler to store my uploaded fonts from session to session, for example. The free fonts are inadequate, to say the least. If you want to quickly apply trendy or useful filters, there are better solutions, such as Lightroom or VSCO and both have mobile apps. Also, it's written in Flash, ugh, so how much longer is it going to stick around anyway? Pony up for paid applications. I can see no benefits from using this product over other freely available products. "Most Favorable Image Editing tool"
There is No Point to Dislike Pixlr Editor as this is best Free Online Editor I've seen which provides all most all the tones alternative to Photoshop. Everyone can easily use this online editor, Whatever the Field you are in You must try this to improve your graphics designing work. If you regular user of Photoshop you find that Pixlr menu is almost similar. As a Graphic designer, You have to try lots of tools to check which perfectly fits you, Pixlr is my priority for editing work as I can add the filter in just one click, quite a fun for me. moreover, you don't need to register to use Pixlr Editor. "Powerful Photo Editing Tool That Is Free Too? Unbelieveable"
I like that Pixlr has so many editing tools available for the savy photo editor. The amount of available tools can be a little overwhelming and may not be easily understood by the novice. A little Youtube watching will have you making stunning images like a pro. If you're looking for a way to edit your photos economically then you won't be disappointed. If you are hoping to use some of the more advanced features, be prepared to watch some videos on Youtube to help you figure things out. Modifying images from an article by combining them with an image template that is set up just for a Facebook image. I will scream my love of Pixlr from the rooftops. Before I had access to Photoshop, I would use this, and let me tell you it is the absolute closest you're going to get to Photoshop. AND no download required. The keyboard shortcuts that you're used to using on photoshop don't usually transfer over to Pixlr. Last time I used it, it also didn't yet have the ability to open Photoshop files. That improvement would push Pixlr absolutely over the top. But for now, Pixlr is in it's own little ecosystem, which is wonderful until you need to leave it. Make sure you create and log in to an account before you start your design. You'll be able to save your working files as Pixlr docs and you'll be able to go back in later and make changes. Its great if I'm working from another computer that doesn't have my regular Adobe Suite installed. I can just pop onto Pixlr and I know that I'll be able to make quick tweaks. Pixlr is a great alternative to Photoshop. It allows you to use several of the same features without having to buy the pricey program. It also works within your browser so there's no need to download a program or app. One of the downfalls of Pixlr is the inability to save formats or settings. In Photoshop, I can create an action to automatically resize a photo. This option isn't available in Pixlr. I also dislike the large ads that were recently placed on the right side of the interface. The ability to easily edit and resize photos from anywhere whether or not I have access to Photoshop. 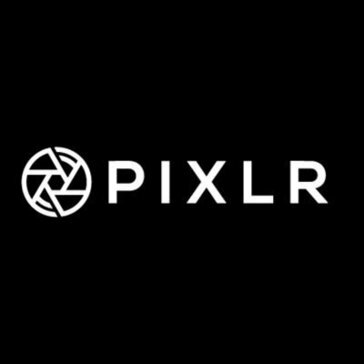 "Pixlr Editor Is An Excellent and Easy Image Editor"
The online Pixlr Editor has comparable features to Adobe Photoshop, but can be accessed online for free. While the other Pixlr software costs money, I've found that the free version has a surprising number of options. It would be nice to be able to copy and paste image layers from images copied from outside of the program (instead of having to import the image, then copy it and paste it into another image as a layer). The online nature of the program presumably requires a strong internet connection, and the editor needs to be careful to not close out of the window, although I've never personally lost my work. I use Pixlr to create images and banners for online articles. It's a free and easy equivalent to Adobe Photoshop. It let's me write inspirational quotes and upgrade my content. I hate when it cuts off some of my text when I try stretching them larger. Make my post stand out more when I use this program. * We monitor all Pixlr Editor reviews to prevent fraudulent reviews and keep review quality high. We do not post reviews by company employees or direct competitors. Validated reviews require the user to submit a screenshot of the product containing their user ID, in order to verify a user is an actual user of the product. Hi there! Are you looking to implement a solution like Pixlr Editor?